Ever find that you can never get the perfect group selfie, where everyone is smiling and no one is blinking? Apple has come to the rescue, in its increasingly tough bid to make the iPhone the best camera phone, creating an app that generates synthetic group selfies, doing the hard work for you. 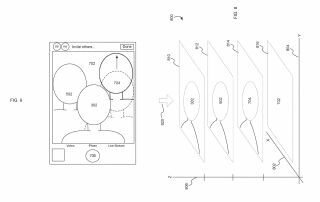 The patent application ‘Generating Synthetic Group selfies’, spotted by DPReview, details a system that enables users to capture multiple individual selfies, over multiple different mobile devices. This means that everyone can get the best shot of themselves without the stress of having to meet and squish in. To use the app, a host user starts by sending out invitations to participate in the group selfie. Each participant then shoots their own solo image and sends it over to the original user's device. The app has the potential to limit the distance from which invites can be sent from the first user, meaning that only people physically at a given event or location can be in the shot. The app then generates the finished picture using computational imaging, cutting all the subjects from the individual images and arranging them in one shot that looks like a real group selfie. Heads will be staggered in rows, making sure that all the faces fit the gaps in between those in front of them, which would also be optimised depending how many people want to be in the image. Finally, a background image – which can be either the host's original background or a completely new one – can be decided upon. The finished synthetic photo can be stored with the original collection of selfies, while giving users the means to swap and change the participants round – meaning that multiple group self portraits can be created of a meeting that may never have even existed. With Apple losing ground to the latest camera phones such as the Huawei P30 Pro and Oppo Reno in the spec stakes, it seems that the company is fighting back with innovation and apps rather than getting in a pure tech firefight.